My name is Khaleeqa and I am addicted to Kale. I LOVE kale. I am the self-proclaimed Kale Queen. I love this super food for a many reasons; it taste delicious cooked or raw, it has so many health benefits and it goes with anything. I substitute kale for lettuce in my salads, I sauté kale for a couple of minute in sesame oil and serve with my dinner, I chop kale up and put in my omelet. The possibilities are endless. Kale is an archaic type of cabbage that grows loosely furled leaves, rather than forming a head. The leaves of kale have a distinctive ruffly appearance that distinguishes the plant from a close relative, collard greens. Kale has been under cultivation for over 3,000 years and was extremely popular in ancient Greece and Rome. In medieval times, kale was sometimes the only vegetable eaten, because it was easy to grow, tolerant to cool climates and delicious. 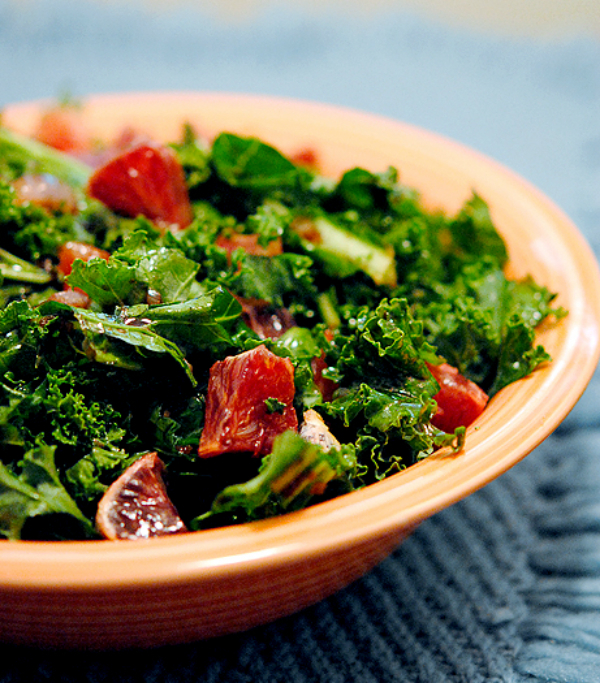 Kale is very high in beta carotene, vitamin K, vitamin C and reasonably rich in calcium. Kale, as with broccoli and other brassicas, contains sulforaphane (particularly when chopped or minced), a chemical with potent anti-cancer properties. Boiling decreases the level of sulforaphane; however, steaming, microwaving, or stir frying do not result in significant loss. Along with other brassica vegetables, kale is also a source of indole-3-carbinol, a chemical which boosts DNA repair in cells and appears to block the growth of cancer cells. Kale is also a good source of carotenoids. So pick up some kale the next time you are at the grocery store!